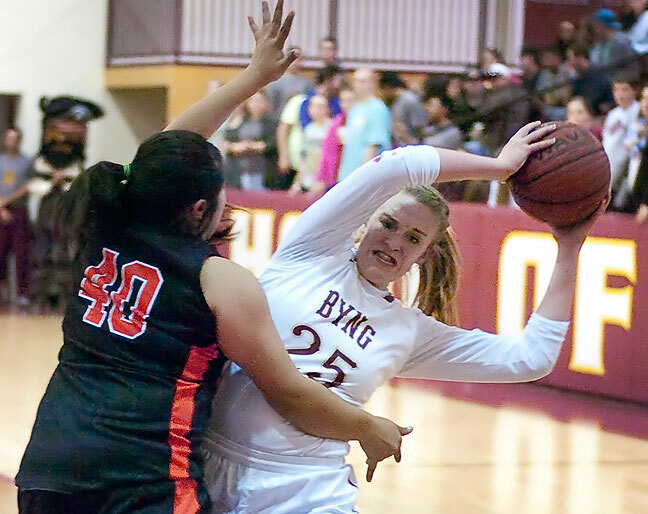 A Byng Lady Pirate is fouled during tournament play last week at Bill Koller Field House. The lighting there isn’t great, so I often opt to shoot with my 50mm f/1.8 at f/2.0. The horizontal composition captured this moment of conflict well. I got someone to make an image of me peeking over the top of my camera at a game recently. Being able to see what’s going on around me helps me decide when and where to shoot. Yes, I do hold my camera horizontally (landscape mode) rather than vertically for basketball. I’ve always been more comfortable shooting it that way, though I didn’t really analyze the mechanics of it until recently. I was shooting a college basketball at ECU‘s Kerr Activities Center here in Ada and thought for a moment about what exactly I was doing, when I put it together: I hold the camera horizontally so I can lower it slightly and see the whole court so I can keep track of the action, which helps me decided when and where to shoot. 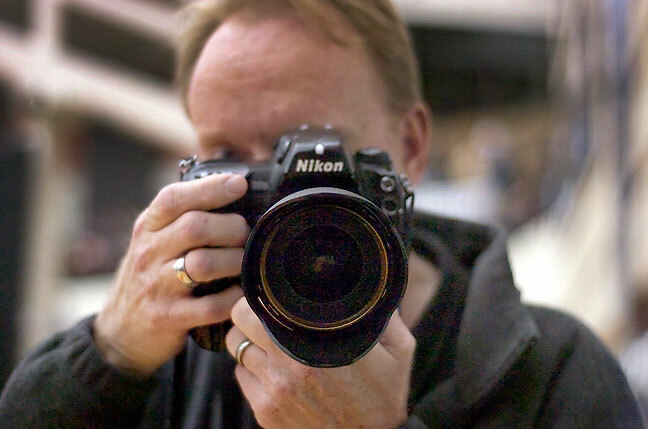 I believe this is because I am a left-eyed shooter, so though it is open, my right eye is blocked by the camera body. Right-eyed people can see the court without moving their camera. My results are a little different than those who hold vertically, but in all honesty, most of my action imagery is aimed at the moment of conflict, which includes moments like fast breaks and loose ball scrambles, and those kinds of plays often defy composition, so they might be horizontal, vertical, or square. Horizontal action can be just as powerful as vertical. 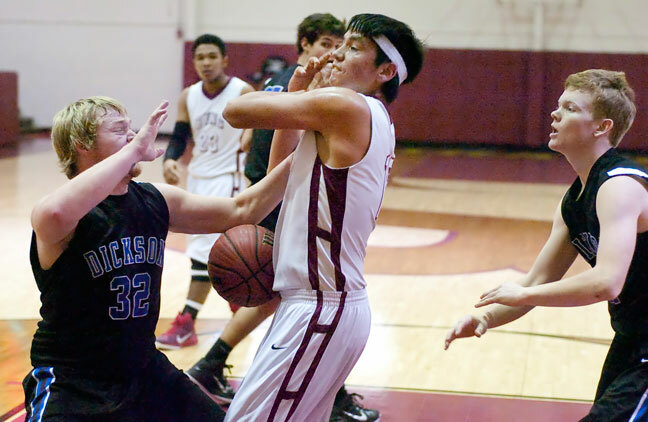 In this play, Byng Pirate forward Dineh Bohan is fouled driving to the basket. Readers also might recall that Dineh was one of the Byng yearbook students who took my class last summer. I’ll admit I flipped back and forth, but probably the majority of my basketball shots were vertical — which is why I always had a battery grip (for the extra shutter button). But it DID block my vision because the camera body covered the right side of my face. If I ever got hit, it was from the right.